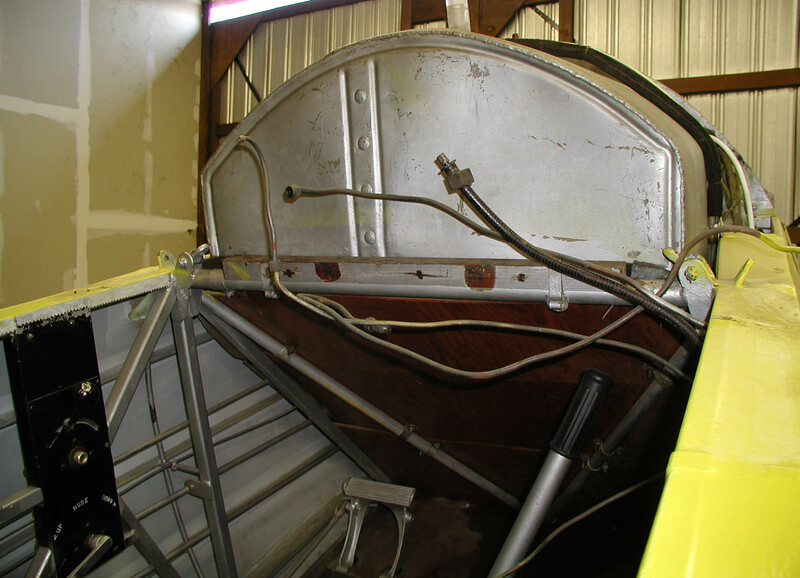 Panel only secured by bottom straps and a few screws through coaming. Not secured on sides at all. Should have bracket here. Also has overlaid flat panel where shock mounted oval panel used to go. Oil temperature tube not removable from gauge. 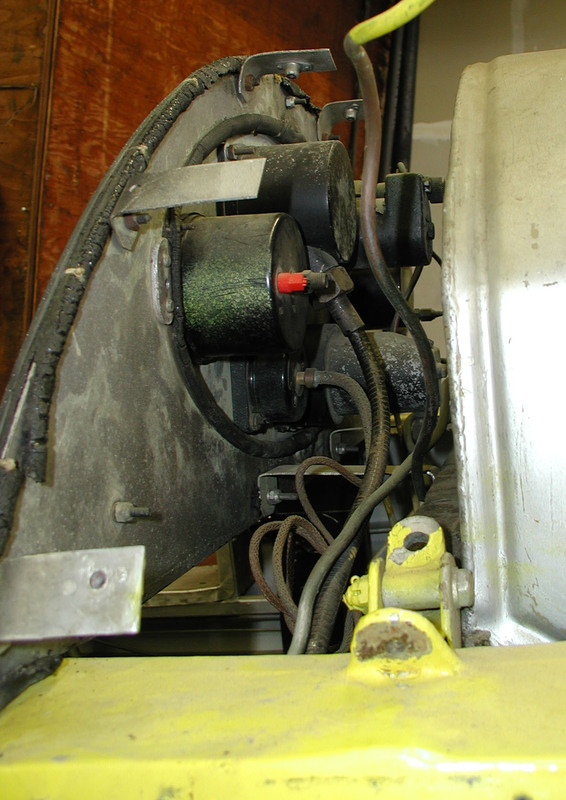 Runs continuous up to engine where tapped into oil return line from engine. Old-style compression fittings used on static, pitot, and vacuum systems. Should all be replaced with AN fittings. Also hardline is questionable. Tachometer cables frayed through in several places where tiewrapped or tied to frame. Oil pressure tube uses compression fittings on instrument panel, although from firewall forward uses AN fittings. Need bulkhead T on the firewall instead of bogus T + union arrangement formerly used. Front cockpit view with instrument panel. 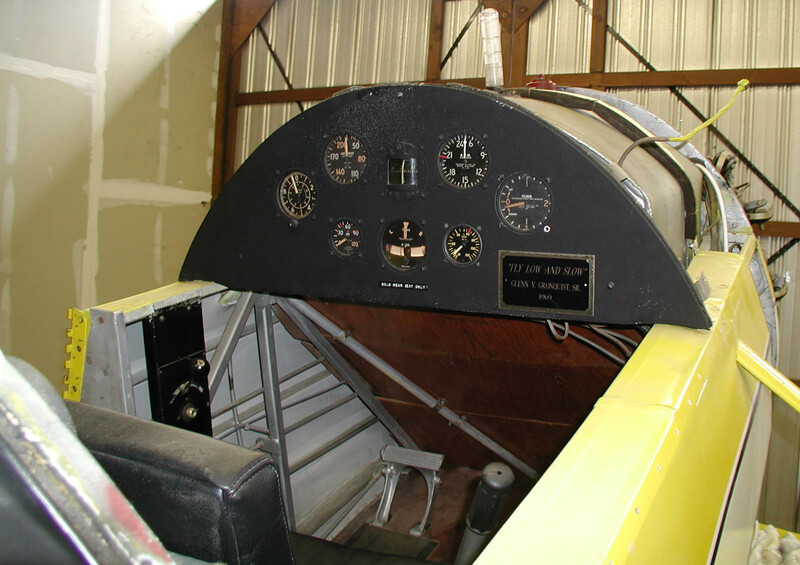 Front cockpit minus instrument panel. 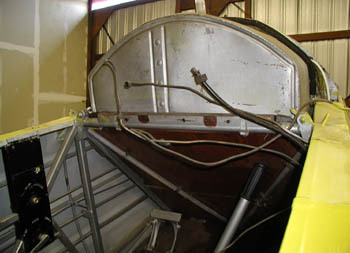 Detail view of front instrument panel plumbing.